Maternity Leave: Being Instead of Doing — . I made a to-do list for my maternity leave, until I read this article on Scary Mommy and got a reality check. I’m a doer by nature so naturally I set goals to achieve during my leave. I assumed that maternity leave would lead to more productivity in my life. Thanks to the article, I learned before giving birth that my to-do list would take a backseat to my new mommy life. Being means I’m focused on being more present and enjoying each moment instead of being preoccupied with a to-do list. It means that I spend time getting to know my newborn son and myself as a mother and spending quality time with my family. 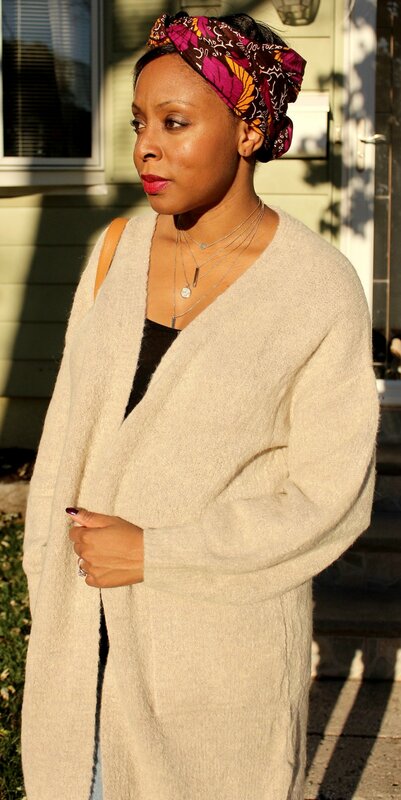 I’m a fan of duster cardigans because they are comfortable, cozy (hey Fall!) and stylish. 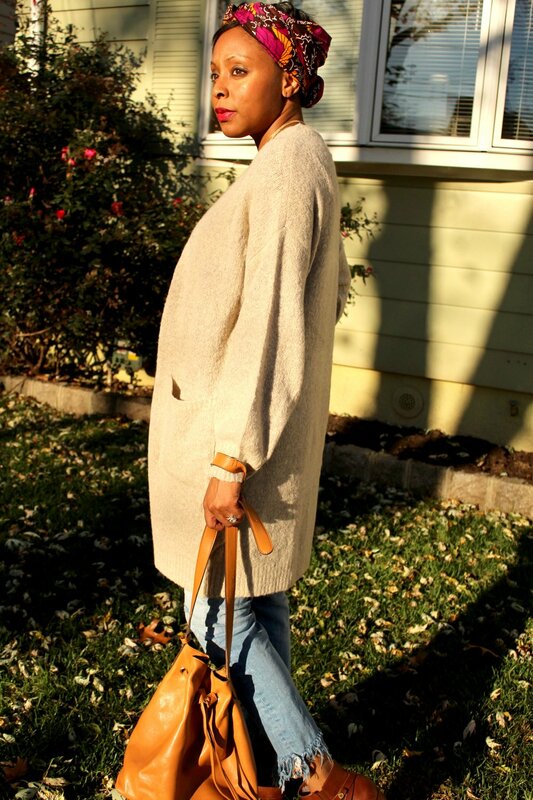 This one I’m wearing from Vici Collection is soft to the touch and will be a regular part of my Fall outfit rotations. My head wrap comes in handy during the days when I simply don’t have time to style my hair. I saw the rich Fall colors and knew it would be mine!